Summer season not only means juices but also vathals, that too especially in south india. 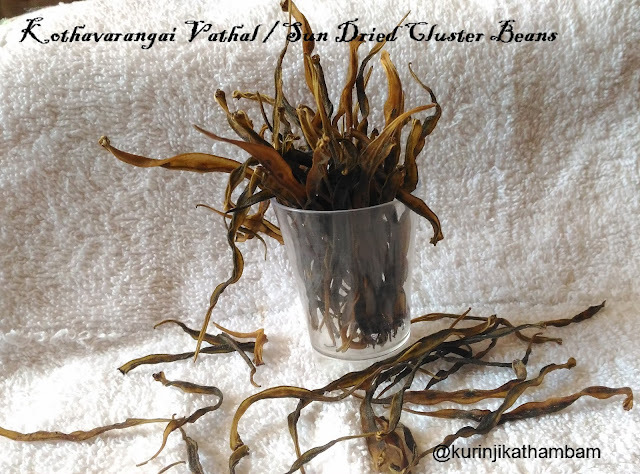 Kothavarangai / Cluster Beans, a seasonal vegetable will be available abundantly in summer season. 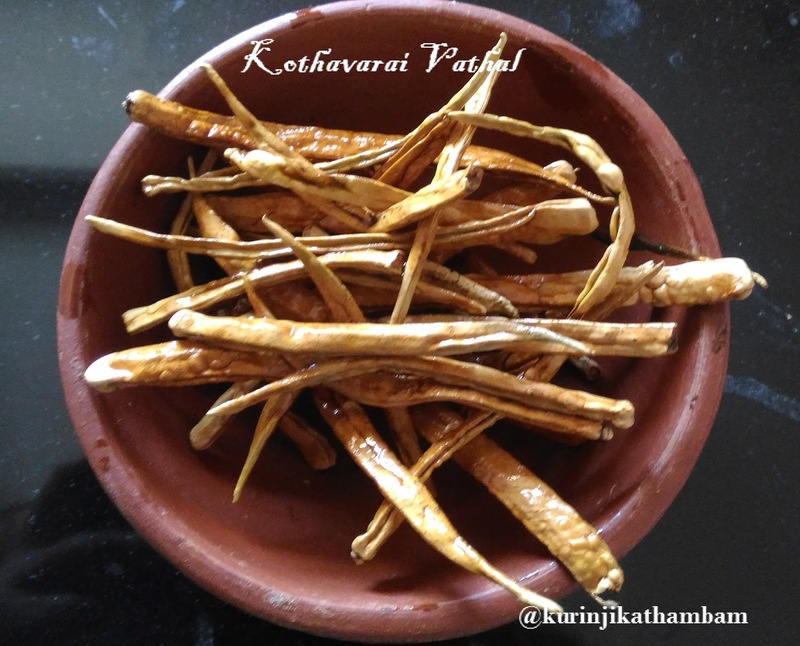 By preparing vathal from kothavarangai, we can have a taste side dish for a longer time. 1. Wash the cluster beans and keep it aside. 2. Heat 2 litters of water in a wide pan like idli vessel. 3. Add salt and wait for boiling the water. 4. Now add the washed cluster beans. After few mins lot of bubbles comes out from the vessel. 5. Now switch off the flame and close the lid of the pan. Leave it for 15 – 30 mins. 6. 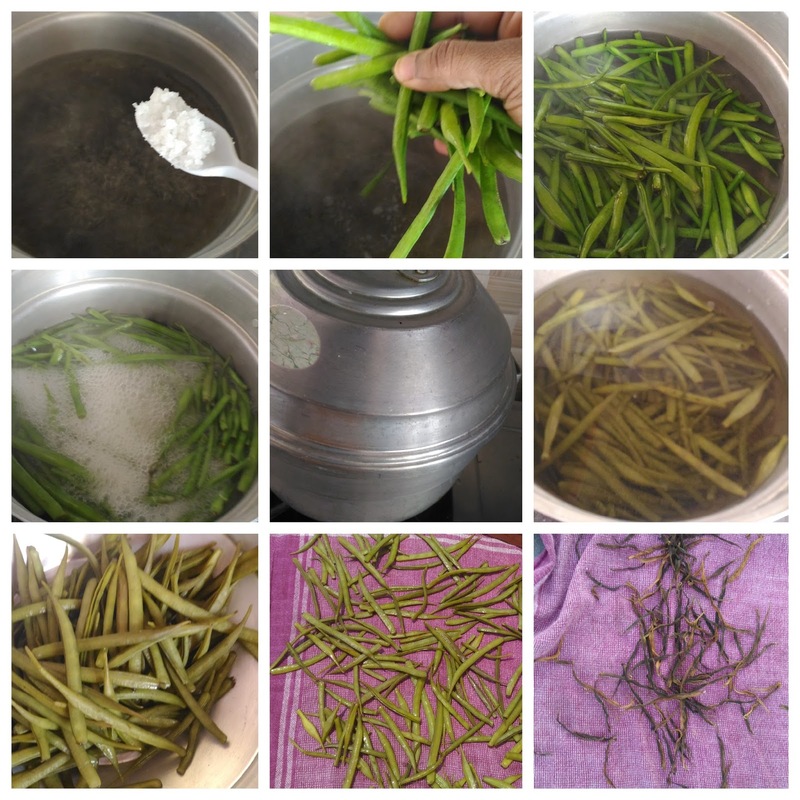 Then drain the water completely and spread the beans on the plastic sheet or clean cloth. Keep it under sunlight for 3-6 days. It depend the size of the cluster beans. 7. If dried completely then store them in a air tight container for later use. 8. Heat oil in a pan, add dried cluster beans and fry. Then remove from the oil and keep it on the paper towel to remove the excess oil. Tasty and healthy vathal ready!